These chops are from the saddle, also called Barnsley Chops. It is two loin chops attached by the backbone. 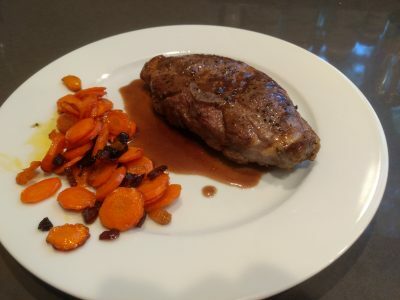 I seared it in a cast iron skillet, then moved it to a 350° oven to finish while I made the pan sauce. I cook mine until medium-rare, 135° internal. 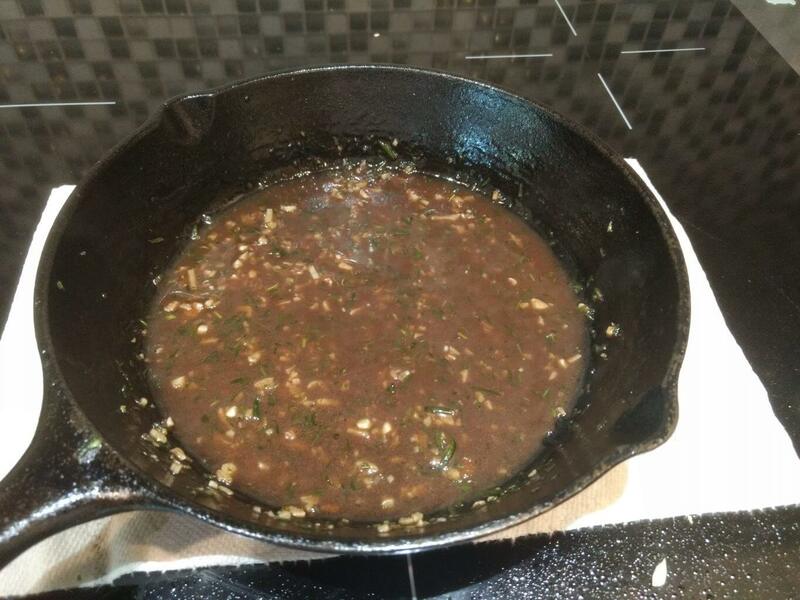 For the sauce, I added diced garlic and rosemary, stirred for a few seconds, then added lamb stock to deglaze and reduce. If you don’t have lamb stock you could use chicken or beef stock, but you might want to also add something sweet (1Tbsp honey, molasses, jam…). Lamb stock has a sweetness that other stocks don’t have. I also add a splash of balsamic vinegar or red wine – whatever I have on hand. Once it’s reduced to the thickness of syrup it’s ready. 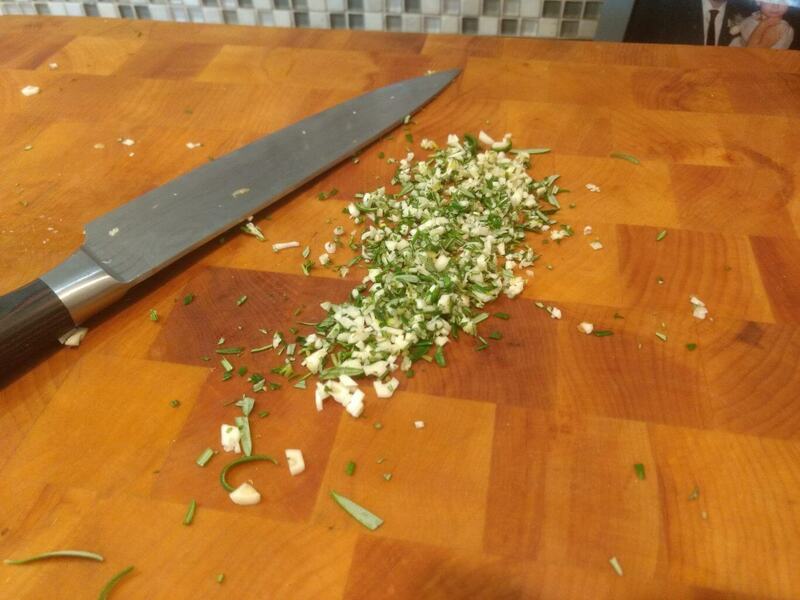 You can also pass it through a fine mesh strainer to remove the garlic and rosemary bits for a cleaner look. Heat the oven to 350°, and heat a cast iron skillet with oil. 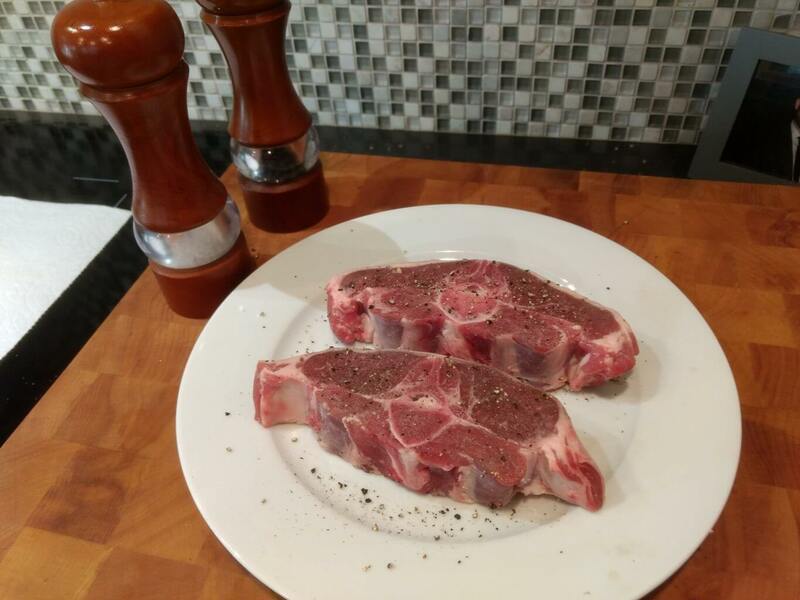 Dry the chops off with a paper towel, then season with salt and pepper. 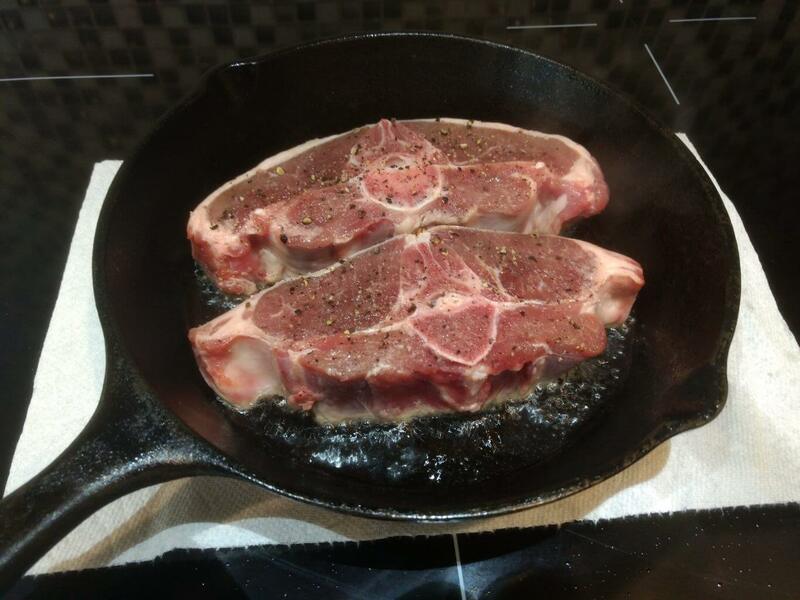 Sear the chops for a few minutes per side, until you have a good color on them. Move to a rack in a baking sheet and place in oven. Cook until 145° internal for medium rare. 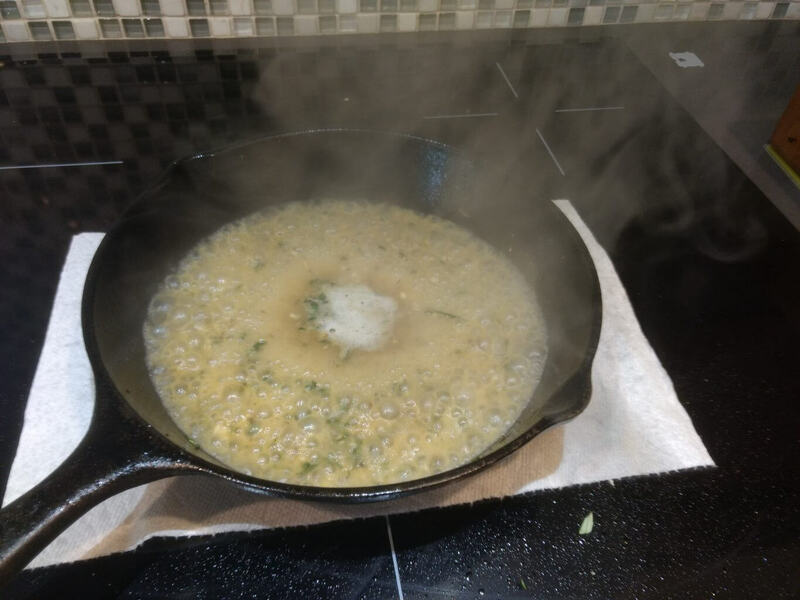 In the hot pan, add the diced rosemary and garlic, stir for a few seconds, then add stock to deglaze the pan. Keeping it on high heat, reduce until thick like a syrup. Add the balsamic vinegar and stir to combine. (Optional) strain the sauce to remove the garlic and rosemary.